Everything’s about waiting lately…Waiting to find out if I got the job or not, waiting to find out if I scored an interview with the state museum, waiting on my student loan check to come in, waiting for my new fish tank to cycle so I can add fish, waiting for the new Bikram studio to open, waiting, waiting, waiting. Most of all, I feel like I’m just waiting for life to start. I can’t wait for life to start. I’m already living it. I can’t keep this lifestyle up – it’s not sustainable. Going to work and being sad and lonely and ultimately unfulfilled every day is just killing me. Literally, it’s killing me. I realized yesterday that aside from swimming on Wednesdays, I hadn’t exercised since sometime in January. I’ve gained all of the weight back, my back and hips hurt constantly, and I’m going on vacation in two months and will definitely not be able to fit into any of my bikinis (without extreme embarassment) if I don’t make some changes pretty much immediately. In a perfect world, I would not be so deep in student loan debt, and I could quit my job with impunity. That would be step one of the road to happiness. Step two would be to find a diet and exercise plan that I can stick to, then make it work. Step three would be finding a job that made me not hate myself every day, a job where I can preserve history, tell stories, help people explore and grow. Step four would be miraculously dropping 16 lbs between now and May 28th. 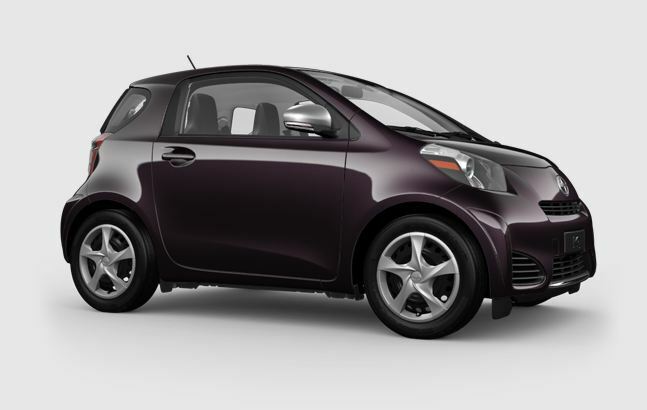 Oh, and I would also pay off my credit cards and buy my very first car of my own, which would also be the very first car that I have ever actually coveted, a Scion IQ, in black currant, of course. For now I’m still waiting on some things: the job, the interviews, the money, the car, the vacation, the clothes. But I’m forging ahead with reworking the diet and exercise plan. I joined a free website (also an app) called Lose It! today, and it’s a lot more helpful than Weight Watchers or SparkPeople, in that it’s solely for calorie counting on the way to weight loss. I did my Zumba this morning, some ab work at lunch, and I’ll go running this afternoon before band practice. I can lose two lbs a week from now until May if I stop making excuses. Maybe somewhere in there I’ll figure out a way to stop making excuses about the rest of this messed up half-life I’m living, too.